Bitcoin has surpassed gold on average intraday transaction volume. There was in the Q2 2017 after the leading world cryptocurrency has reached parity with the gold ounce price, and lasts still, despite decrease in bitcoin in recent months. 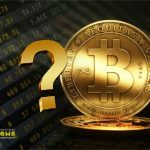 Despite the serious decline that bitcoin faced in 2018, it still outperforms the precious metal in a number of indicators. 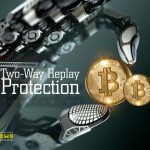 For less than ten years of the existence the bitcoin has managed to show big efficiency during a digital era, than gold which serves as means of cost preservation for thousands years. Precious metal is regularly compared with the largest cryptocurrency. 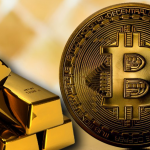 This year, businessman John Pfeffer, a partner at PfefferCapital, said that bitcoin is the first viable replacement for gold. ... We believe that bitcoin will lead to the collapse of gold. We think that this is a "super gold". Look at the nature of money. What makes gold being gold? Deficiency. The stock of bitcoin is limited, so it is more than deficit ... more mobile, interchangeable and durable. It can be said that this substance is superior to gold in all respects. According to VanEck/MVIS director, Gabor Gurbaks, nowadays gold is worth $ 7 trillion. If the price of bitcoin grows by 5 or 10% - consider yourself - it will eclipse gold. © 2018 bit.news | queries 229, for 0.485 sec.